Enjoy Loudoun’s Wineries, Community-Supported-Agriculture, Growers, Producers, Artisans, & Makers all under one roof! 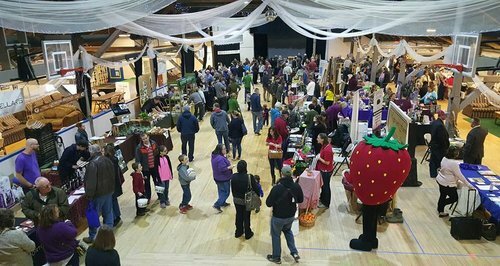 The 9th Annual Loudoun Grown Expo will be held at the Historic Bush Tabernacle at Fireman’s Field in the Town of Purcellville. The Historic Bush Tabernacle Skating Rink at Fireman’s Field is a unique eight-sided structure that was once the largest building in Loudoun County until the construction of Dulles Airport in 1962. A true landmark of Purcellville that has been serving the community at all ages for over a decade. The Bush Tabernacle has been Purcellville’s hub for events and recreation. The Bush Tabernacle hosts a number of community and private events ranging from trades shows to birthday parties.